The head of Britain's military research centre said on Tuesday it was unable yet to say whether the military-grade nerve agent that poisoned a Russian double-agent last month had been produced in Russia. "We were able to identify it as Novichok, to identify that it was military-grade nerve agent," Gary Aitkenhead, chief executive of the Defence Science and Technology Laboratory at Porton Down in England, told Sky News. However, he confirmed the substance required "extremely sophisticated methods to create, something only in the capabilities of a state actor". He added: "we are continuing to work to help to provide additional information that might help us get closer to [the source] but we haven't yet been able to do that." 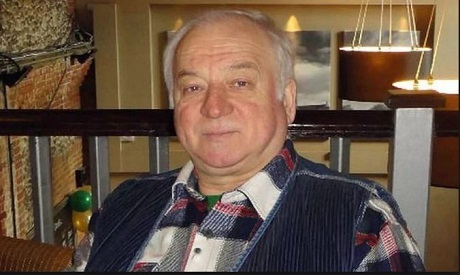 Moscow has denied being behind the attack on Sergei Skripal and his daughter in the southern English city of Salisbury on March 4. Aitkenhead said the British government had "other inputs" it could use to determine the origin of the nerve agent, some of them intelligence-based. He reiterated that the substance could not have come from Porton Down. Russia's EU ambassador Vladimir Chizhov noted in an interview with the BBC last month that the British research lab is only eight miles (11 km) from Salisbury, insinuating that may have been the source. A government spokesperson said on Tuesday: "We have been clear from the very beginning that our world leading experts at Porton Down identified the substance used in Salisbury as a Novichok, a military grade nerve agent. "This is only one part of the intelligence picture. As the Prime Minister (Theresa May) has set out ... this includes our knowledge that within the last decade, Russia has investigated ways of delivering nerve agents probably for assassination – and as part of this programme has produced and stockpiled small quantities of Novichoks; Russia’s record of conducting state-sponsored assassinations; and our assessment that Russia views former intelligence officers as targets." Skripal's daughter Yulia is getting better after spending three weeks in critical condition due to the nerve toxin attack at her father's home in Salisbury, the hospital where she is being treated said last Thursday. Her father remained in a critical but stable condition.